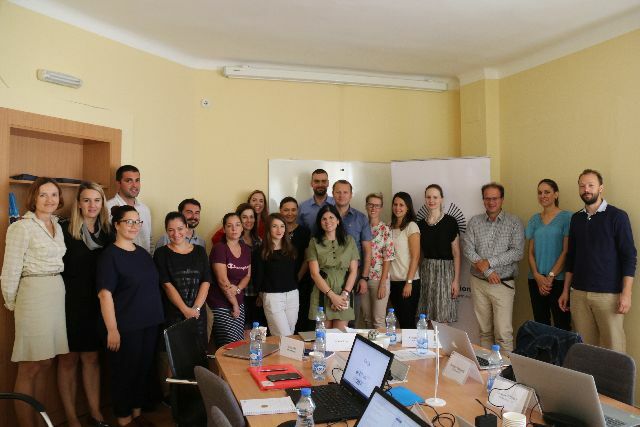 Last month in Belgrade, Serbia, the Tobacconomics team joined with think tank partners in the region to discuss ongoing research on the impacts of tax and demand for tobacco products. 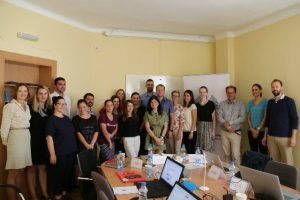 The meeting was hosted by the Institute for Economic Sciences and included consortium members from Albania, Bosnia & Herzegovina, Croatia, Kosovo, Macedonia, Montenegro and Serbia. Across the region, smoking prevalence is high – between 30 and 40 percent of adults are daily smokers. Difference in prevalence between genders varies by country, being the highest in Albania (51.2% men, 7.6% women) and the lowest in Montenegro (36.2% men, 34.5% women) and Serbia (40.2% men, 37.7% women). The prevalence among youth is estimated to be above 15%. Smoking related illnesses have been a major cause of premature death. However, despite this, there has been very little attention to the negative health and economic consequences from tobacco consumption. During the 1990s, the region experienced major changes in the tobacco industry with privatizations of the state-owned tobacco companies and increased activity of transnational tobacco companies. As a result of market competition between them, the prices of cigarettes declined, which stimulated consumption even more. Croatia, which became an EU member in 2013, has made the most progress in the legislative reform in line with the EU Directives. Montenegro and Serbia, candidates for membership who have started the membership negotiations, have been amending their tax laws in line with the EU regulations regarding tobacco. Macedonia, a candidate for accession but has not entered the negotiations just yet, and Albania, Bosnia & Herzegovina and Kosovo have made less progress regarding legislative reform. Yet, despite the legislative changes, tobacco consumption in the region has not been declining as tobacco taxes and prices of cigarettes have been low (up to EUR 2 per pack for most sold brand in all countries except Croatia (EUR 3.3)). In addition, all countries have been facing similar challenges in passing and implementing the regulations due to a very aggressive tobacco industry campaign. Therefore, this partnership to produce reliable in-country evidence on the impacts of tobacco tax increases is vitally important. We are excited to partner with the Institute for Economic Sciences as part of our Tobacconomics Think Tanks project, Accelerating Progress on Effective Tobacco Tax Policies in Low- and Middle-Income Countries. We look forward to disseminating this research in the coming months to add to the in-country evidence base for more effective tobacco tax reforms. For more information about the think tank, view their website here.